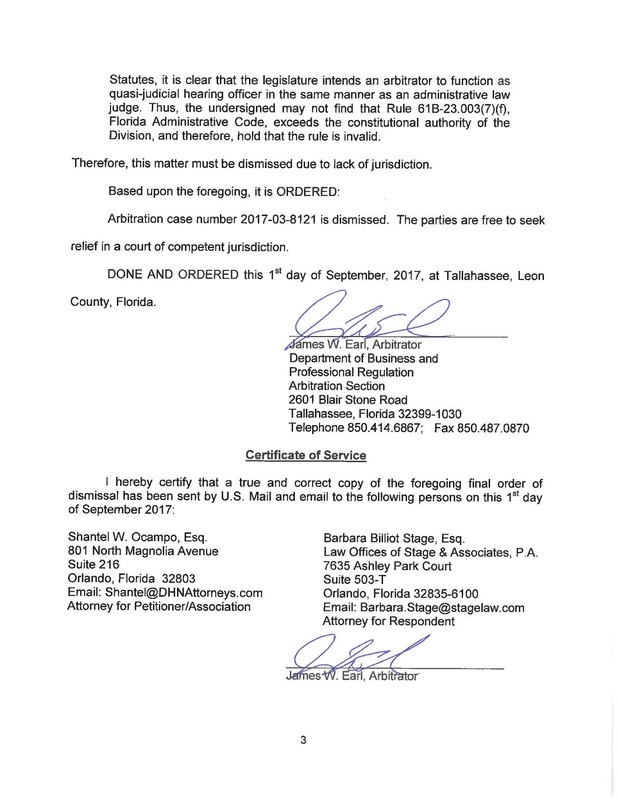 Recently our firm had the experience of representing clients in the first recall arbitration after HB 1237 revised Fla. Stat. 718.112(2)(j), which are the laws governing recalls. 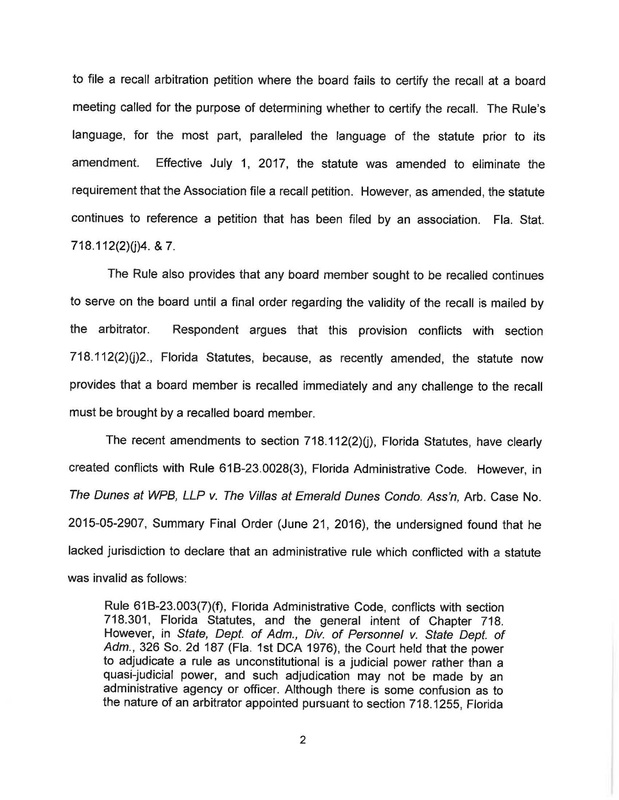 Unfortunately, the Florida Statutes conflict with the Florida Administrative Code and since the Department of Business and Professional Regulation (DBPR) operates under the Florida Administrative Code (FAC), DBPR declined jurisdiction to hear the case. 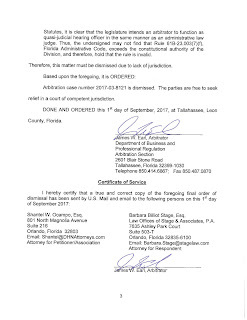 Even though lawyers are taught in law school the statutes overrule the FAC, the head arbitrator, James Earl, explained he does not have the authority to declare the FAC is invalid and it will be approximately six (6) months before they update the FAC. 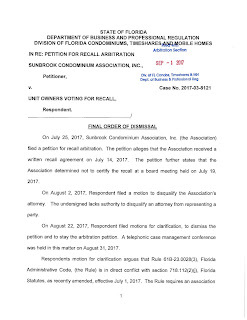 This leaves homeowners with a recall process which is completely ineffective if the recalled board members refuse to recognize the recall is "effective immediately" and step down. Are we now governed by Administrative Rules? Who initiates the fixing of the FAC? 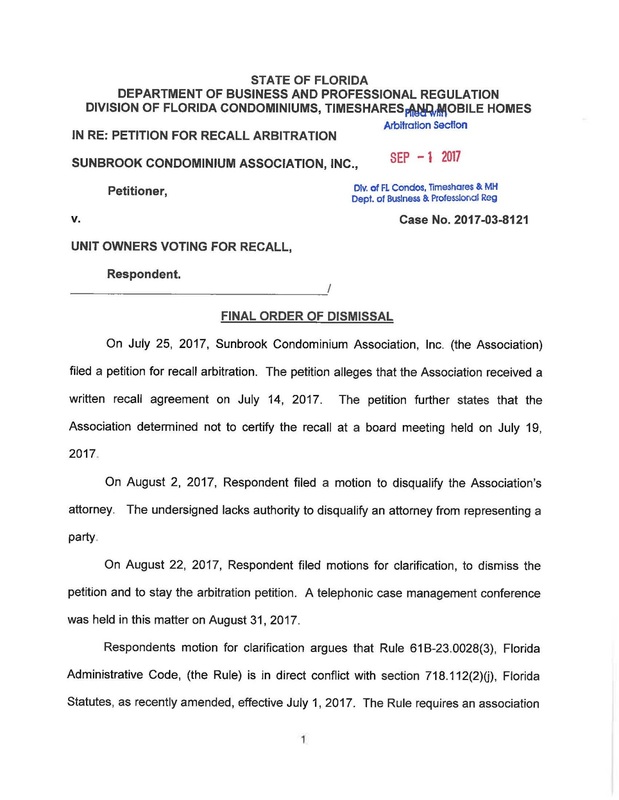 Is this provision "useless" to condos members who now are subject to the FAC and continue to be held hostage by incalcitrant boards? 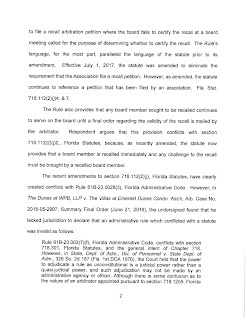 The Florida Admin Code interprets the statutes and provides the guidance for regulatory agencies. DBPR is working on fixing the FAC. Alternatively, a party to an action can sue the DBPR to force them to revise the FAC, but it becomes a question of who has the money to do this. Illustrations or photos entirely on yuor web blog even in the event getting need to know fast a dash of number submits. Gratifying technique for long-run forthcoming, probate lawyer I will be book-marking during the time turned out to be a covering conclusion happens inches all the way up inches.